What are the must-see Halloween events in Los Angeles for the weekend of October 2-4? Read on to find out...if you dare! There are too many Halloween attractions - haunted houses, horror movies, and theatrical experiences - opening in L.A. for any mere mortal to visit all of them. Which should you prioritize? We offer this helpful list below. By the way, we hope you have already visited Halloween Horror Nights at Universal Studios Hollywood, the Knotts Berry Farm Halloween Haunt, and the Six Flags Magic Mountain Fright Fest, all of which opened in September. If not, shame on you! Time is fleeting, and life is short! Get out there now while the getting is good, and experience the major theme park Halloween attractions in Los Angeles; otherwise, you will not have time for the quirky, independent offerings that open later in the month. The New Beverly Cinema offers a two-day double bill of Alien (1979) and Horror Planet (1981). The first film is a certified classic, featuring one of cinema's most memorable monsters; the latter is a bona fide piece of exploitation trash - the perfect complement! 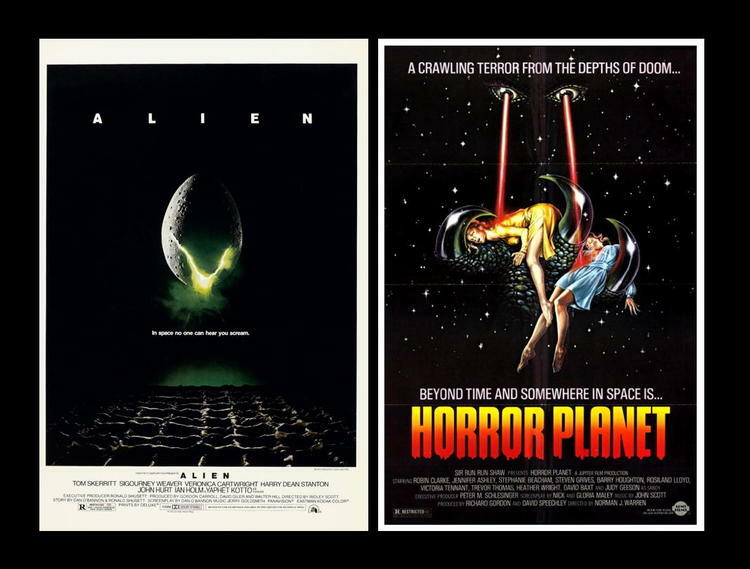 Both films screen on October 4 and 5, with Alien starting at 7:30pm and Horror Planet starting at 9:55pm. The New Beverly Cinema is located at 7165 Beverly Boulevard in Los Angeles. The website listing is here. On Sunday, October 4, composer Fabio Frizzi, who scored numerous Italian thrillers and horror films in the 1970s and ’80s, appears live, leading his eight-piece Frizz2Fulci Orchestra. Expect to hear soundtrack music from films directed by Lucio Fulci: Zombie, Seven Notes in Black, Cemetery of the Living Dead, and of course The Beyond (which screens afterward, in a 35mm scope print provided by Grindhouse Releasing). The Beyond is worth seeing all on its own - a strange cult film that defies traditional definitions of quality, its narrative gaps and language lapses (e.g., a sign that reads "Do Not Entry) becoming part of the surreal atmosphere. The event is part of Beyond Fest 2015, running October 1 through 12 at the Egyptian Theatre in Hollywood; the address is 6712 Hollywood Boulevard. The website listing is here. Actor Bruce Campbell joins the American Cinematheque for a double bill of The Evil Dead and Evil Dead II. The original film is gut-grunching gore at its most extreme; the later is a cartoonish inversion of the original, with geysers of blood flowing so freely that laughter results - it is truly one of the most hysterical horror movie experiences ever. 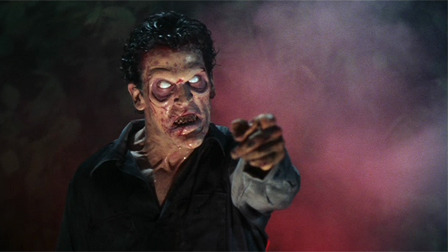 Through both films, Campbell's character, Ash, endures the most horrible trials and tribulations, making him one of the screen's most memorable horror movie icons. Unfortunately, the show is sold out. Some tickets may become available at the door on a first-come, first-served basis. 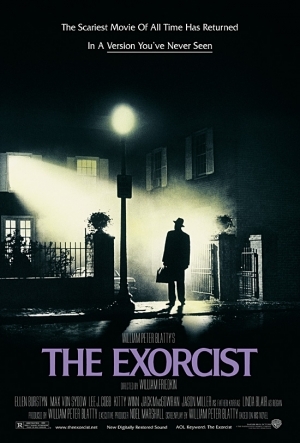 On Saturday, October 3, the New Beverly Cinema offers a midnight presentation of director William Friedkin’s film version of William Peter Blatty’s The Exorcist (1973). Decades after its release, the film remains a contender for the title of Greatest Horror Movie Ever Made. Now that the initial shock has worn off, the film's craftsmanship show through more clearly, and one can even see signs of subtlety - word that would have prompted derisive laughter in relation to the film back during its initial theatrical run. This is the extended version prepared for the 2000 re-release, which contains previously deleted footage clarifying some important plot points, along with the missing "spider-crawl" sequence of Regan (Linda Blair) scuttling down the stairs, upside down. The film screens again next Saturday, October 10 at midnight. The Los Angeles Haunted Hayride opens on October 2, with a brand-new theme, The Boogeyman, based on the premise that a universal constant in cultures around the world is fear of a “dark presence” or a “mythical evil”that lies in wait until you drop your guard, wandering too far into the dark or simply closing your eyes to go to sleep, whereupon the demonic entity pounces. The L.A. 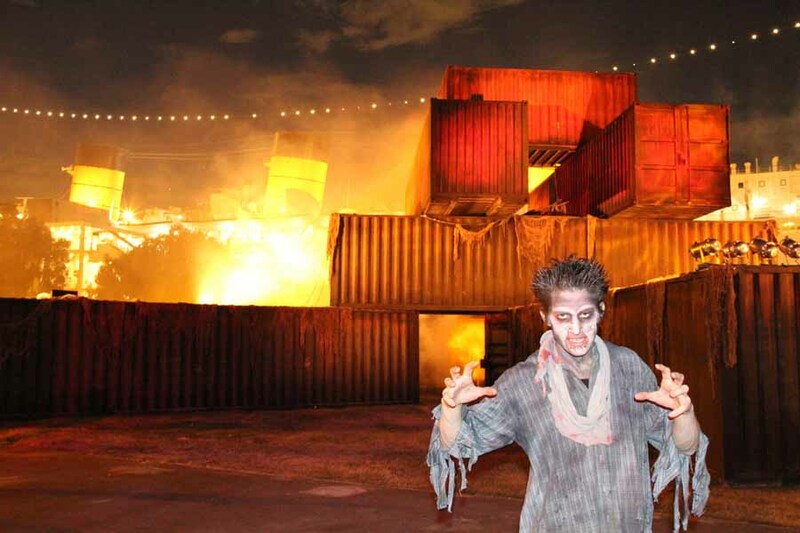 Haunted Hayride had its best year every in 2014; if they can sustain that level while revamping the ride and its subsidiary attractions to the Boogeyman theme, this will be a must-see event. Hopefully, the new mazes, House of the Shadows and Trick or Treat, will be able to compete with the Hayride in terms of quality, but one way or another the Hayride itself is always worth a visit. The Haunted Hayride is located at the Griffith Park Old Zoo, 4730 Crystal Springs Drive in Los Angeles. It runs this weekend on October 2-4, with subsequent dates on October 9-11, 16-18, 23-25, 30 & 31. Hours are 7pm to 10:30pm on Sundays and weeknights; 7pm to midnight on Fridays and Saturdays. The Queen Mary Dark Harbor returns to Long Beach for Halloween 2015. New attractions include the Lullaby maze featuring Scary Mary and the Curse of Anubis Paintball Adventure. The former is a wonderfully creepy trip through demented childhood, with the titular character demanding that you "play" with her; the latter is a shooting gallery with targets and a few live mummies. The old familiar mazes from the past two years are on view again, but most have been upgraded, making them worth a return visit. There are also Side Shows, an RIP Lounge (available with VIP Upgrade), Live Entertainment, Food & Cocktails, Rides, and other Attractions. Dark Harbor opened on Thursday and runs this weekend through Sunday. It continues throughout October on Thursdays, Fridays, Saturdays, and Sundays , plus Wednesday, October 28. The Queen Mary is located at 1126 Queens Highway in Long Beach. Get more information at the official website. The Reign of Terror Haunted House in Thousand Oaks opens on Saturday, October 3. Although a single walk-through haunt, Reign of Terror is actually half a dozen realms crammed into one overwhelming tour of terror. This Halloween's new experience is the Fun House. The returning sections (Victorian Manor, Miner’s Revenge, The Asylum, Blood Manor, Quarantine) have had their layouts revamped, to reposition the familiar scares so that you will not know where to expect them. This weekend, the Reign of Terror haunted house is open only on Saturday, October 3, 7-11pm. It returns with dates on October 9-10, 16-17, 23-25, 29-31. Get more information at the official website. Rise of the Jack O’Lanterns in Descanso Gardens in La Canada Flintridge, opened Thursday, October 1 and continues this weekend through Sunday, October 4, with subsequent dates on October 8-11, 15-18, 22-25, 29-31 & November 1. Rise of the Jack O’Lanterns is as much an art exhibition as a tour, with over 5,000 Jack O’Lanterns arranged in themed installations over the course of a one-third mile trail, accompanied by original music. Expect to see a safari-full of larger-than-life animals, an auto show, movie and television stars, and a 50-foot dragon. The atmosphere is old-school Halloween fun, sometimes spooky but never scary. There are no mechanical pop-scares or costumed actors, just gorgeous sights and sounds.The walk is leisurely, requiring from 45 to 75 minutes, depending on how long you want to pause and gaze in wonder. Descanso Gardens is located at 1418 Descanso Drive in La Cañada Flintridge. The official website is here. This year, there will also be a Rise of the Jack O’Lanterns installation at Santa Anita Park, starting next week. 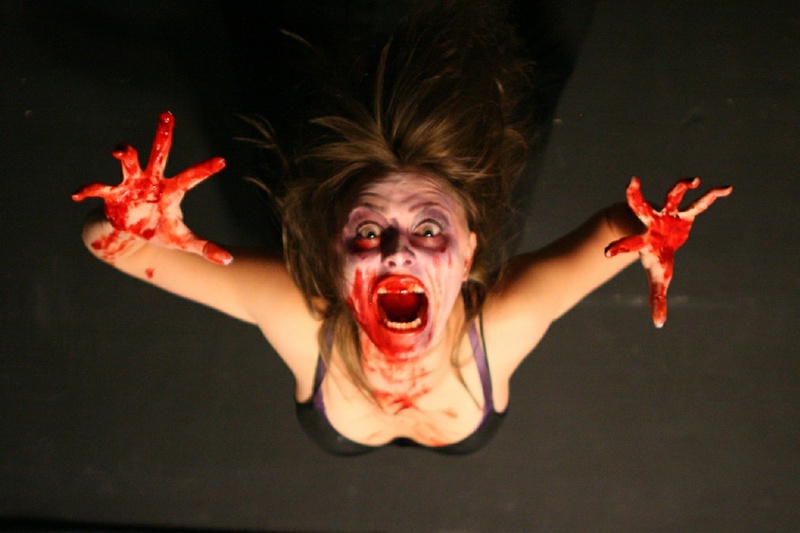 Zombie Joe’s Underground Theatre unearths its annual haunted theatre attraction on October 2. Part walk-through haunt and part avant-garde theatre, Urban Death: Tour of Terror is a uniquely disturbing Halloween events in Los Angeles, not recommended for those under fifteen years old. This weekends performances take place at 8pm, 9pm, 10pm, 11pm & midnight on Friday and Saturday. Arrive fifteen minutes early for check-in; no late seating. The haunted theatre continues on Fridays and Saturdays through 31. Zombie Joe’s Underground Theatre is located at 4850 Lankershim Boulevard in North Hollywood. The official website is here. 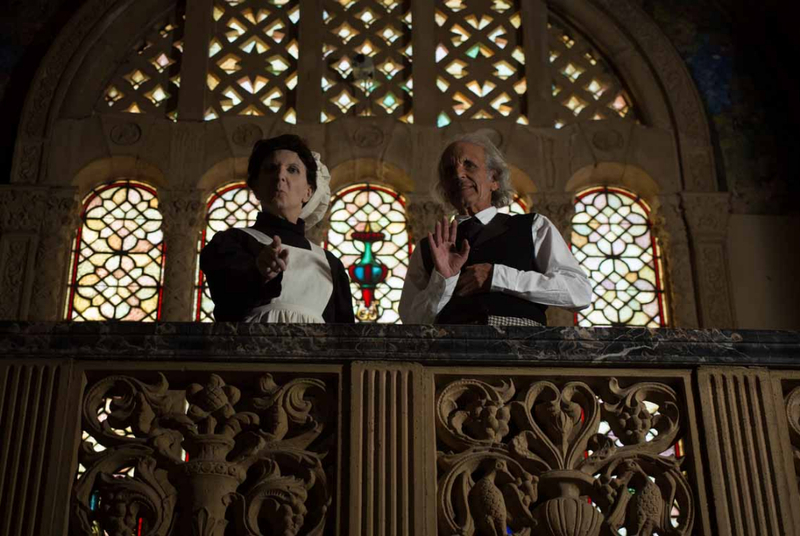 The Wicked Lit Halloween Theatre Festival once again takes audiences on a dramatic excursion through the grounds of the Mountain View Mausoleum and Cemetery in Altadena. This year’s trio of plays adapted from classic literature consists of The Grove of Rashomon, The Ebony Frame, and The Fall of the House of Usher; plus, there will be a wraparound tale based on Poe’s “The System of Dr. Tarr and Professor Fether” (which, being set in an asylum literally being run by inmates, offers an excellent centerpiece for the evening’s entertainment). Wicked Lit runs Friday and Saturday this weekend, with both shows starting at 7:30pm. Subsequent dates are October 8-11, 15-18, 21-25, -28-31, November 1, 5-8, 12-14. The show runs approximately two hours and forty-five minutes. The Mountain View Mortuary & Cemetery is located at 2300 N. Marengo Avenue in Altadena. Learn more about this year's presentation at the official website for Unbound Productions. 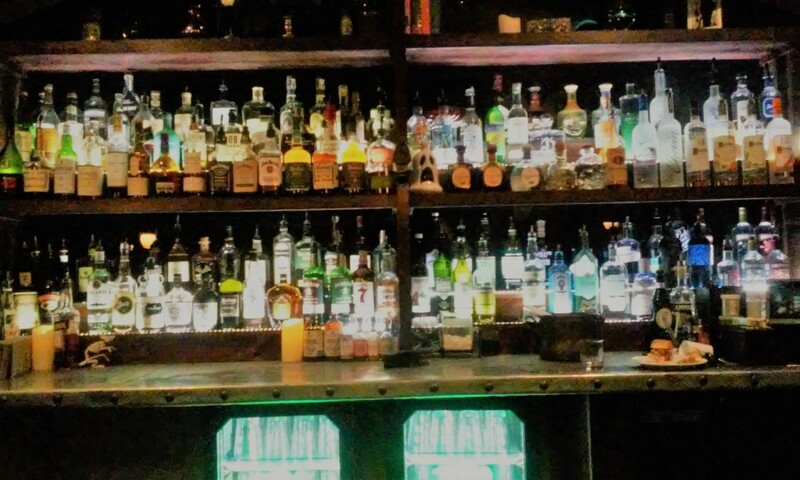 Find more October events listed in Hollywood Gothique's Events Calendar. Or check out our Halloween Haunts page for more Los Angeles haunted house attractions.